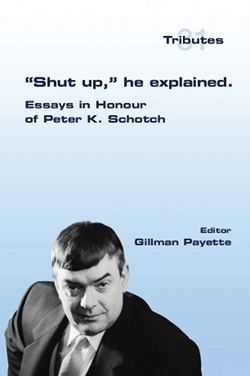 Peter K. Schotch is Emeritus Munro Professor of Metaphysics at Dalhousie University in Halifax, Nova Scotia, Canada. He is co-founder of the Canadian School of paraconsistency known as perservationism, and has written papers in many areas of philosophical logic particularly many valued logic and epistemic & deontic logic. This collection contains papers written by Peter's students and colleagues who have been associated with him during his forty-plus years of philosophical enquiry.